The different sizes available + the new book IMAGINE! For reference, I'm holding the Medium sized print of "The Cover Up". Up to 43 cm (17 inch) wide. Prints are handled and distributed by INPRNT, USA and are available for world wide shipping. 74 cm (30inch) wide. Signed and numbered on Hahnemühle Photo Rag 500 gram/m² paper. Shipped flat in a robust custom made box. 100 to 180 cm wide. Signed and numbered on Hahnemühle Photo Rag Baryta 315 gram/m² paper. Shipped in a robust protective tube. For the Small edition the choice wasn't hard, I've been working with inprnt.com for a few years now and I'm very satisfied with the quality of the prints they make for me. The medium and large sized prints were harder to decide. But about a year ago, I discovered Hahnemühle's Photo Rag 500 gsm paper for the Medium Sized Prints, which is a matt thick heavy paper that really makes the details and colours pop out. That was very important to me to make it the luxury product I wanted. The problem was that this paper isn't supposed to be rolled due to its thickness. Therefore I spent the past half a year creating a custom made box to ship the print flat. It's not only a very protective box to make sure that the print arrives safely, but it's also nice and simply designed to make packing and unpacking easy. The large prints are the same size as the ones currently exhibited at Fotografiska Museum of Photography in Stockholm, Sweden. They stretch from 100, 140 and 180 cm wide in an edition of 3. Printed on Hahnemühle's Photo Rag Baryta 315 gsm paper which is an excellent glossy fine art paper with a very expressive feel. In order to ship these prints safely they come in a robust tube. The Medium and Large prints comes with a certificate of authenticity and includes world wide shipping. Check out the shop in the link below and let me know if you have any questions or enquiries. 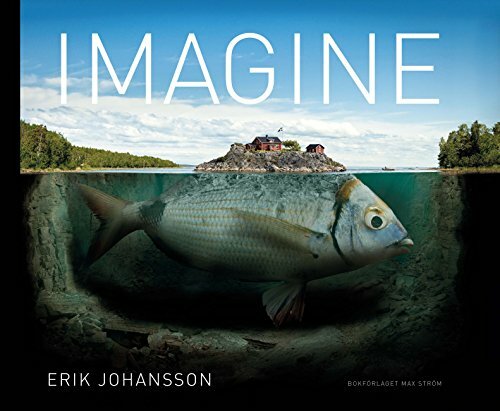 I'm proud to present IMAGINE, my first photo book, available in Swedish and English. I have been thinking about making a book for a long time, but I wanted to wait until I had at least fifty images I'm happy with. Being a perfectionist constantly struggling to become better getting a selection of fifty images has taken me a bit more time than I planned, but I finally got there! The book consists of fifty of my best images including two, so far, unpublished new images that I have been working on for the past months. It's published by the Swedish book publisher Max Ström in a Swedish and English edition. As a bonus the book contains two new, so far, unreleased photos. It's available for purchase in many larger book stores and on Amazon.